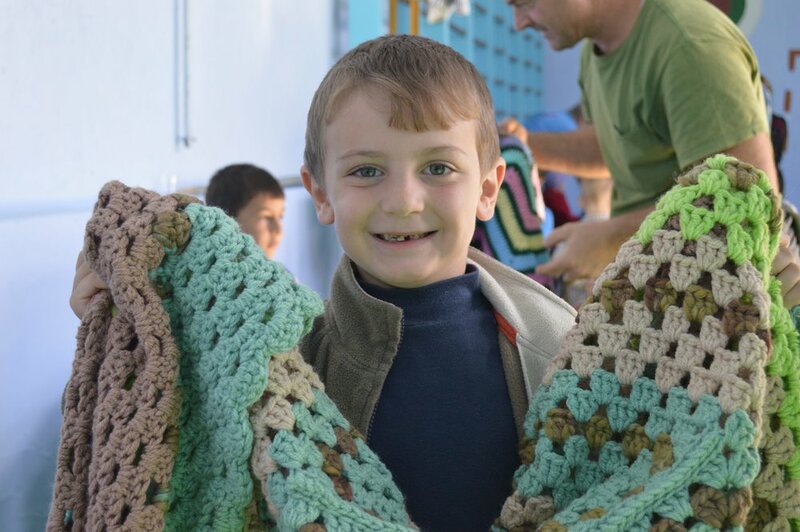 Through Keep a Child Warm, we have distributed coats and warm winter clothing to thousands of orphans and impoverished children living in the southern region of Cahul. Due to macro geopolitical forces, the economic development of the country has been restricted. This has resulted in around 50% of the children growing up with grandparents, extended family or neighbours because their parents have relocated abroad to earn money. Those that remain find themselves working for very little in comparison to the high cost of living. For example; a head teacher earns between £150-£200 a month and a labourer earns around £60 per month. When winter comes, many have to choose between heating their home or feeding their family. Our clothing distributions have alleviated this pressure for many, making it possible for their little ones stay to warm in these freezing winter months, which can plummet as low as -30°C. 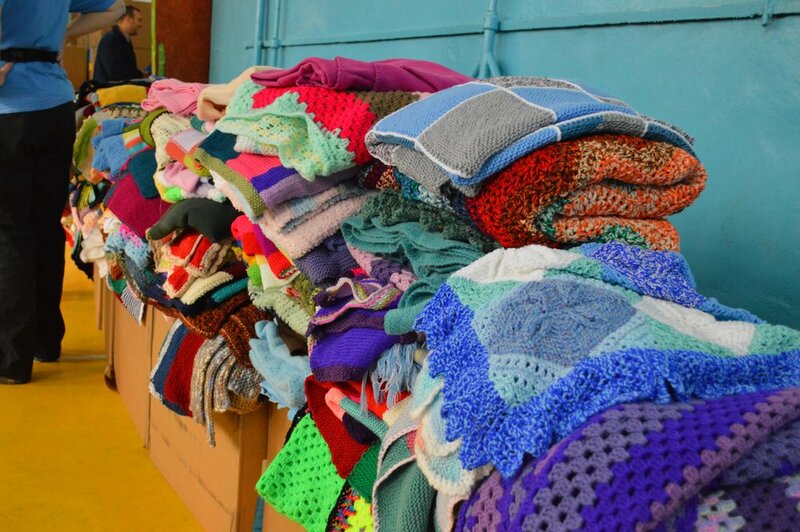 Every year we give a coat, hat, gloves, scarf, jumper, socks and blanket to every child attending either the nursery, junior and senior school in 3 rural villages and any place social services needs clothing. To put things into context, the cost of a 4-5 year old boy’s winter coat being sold in the regional capital’s market was £30. We are able to get all of the above items to 1000 children for a cash investment of £10 per child. The relevant information for every child that will receive the clothing is gathered from the schools in March/April and the shipment is prepared in July. The team ensure there are enough clothes for everyone, including the staff and their families. 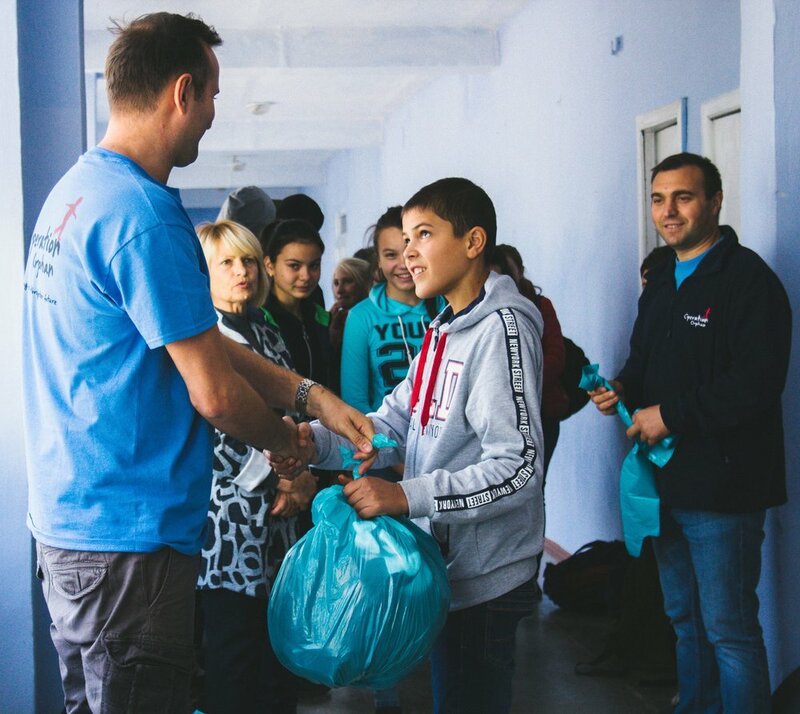 Every time a global expedition team distributes the clothing alongside a young Moldovan team of volunteers, it is blatantly obvious that this intervention is needed and welcomed. Our long-term goal is to work through all the villages in the region. We have formed a strong working relationship with a local NGO called Pro Lumina. Vasile helps us to legally bring the clothing and aid into the country and together we ensure everything reaches the children. As a result of our targeted and relevant investment in the region, we have forged a good relationship with Cahul Social Services and the child protection department. We also include nappies and sanitary products in each shipment for the mother and baby unit. This relationship is now expanding to target ‘at risk’ families. The goal being to keep the children with parents that are capable of caring for them but are extremely resource poor. All that could be needed is a small capital investment in infrastructure maintenance or some specific items that they don’t have the money to pay for. 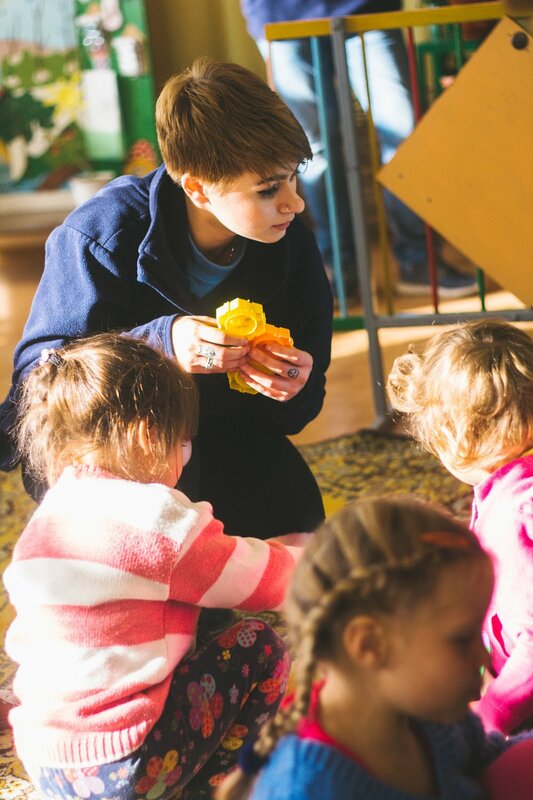 If children are taken into care, we will again work with child protection to support the needs of the child. For example, a young disabled boy was taken into care and he came with nothing. Social workers, who are not well paid themselves, were bringing clothes in for him from home. As well as items of Keep a Child Warm clothing that we brought, we were able to take him shopping and kit him out with other essential items. This cash injection means that his quality of life in the care system was significantly improved. Not all of this would be possible without Victor and Yolanda. Victor was born in Cahul and now lives in the UK. Their passion and commitment to help his people is truly inspiring. Helping children who are living in the most remote villages, bringing a smile to their faces and knowing that a significant burden is lifted off their carers’ shoulders motivates us all to continue working in southern Moldova.